The art series engages with the radical changes we are witnessing today in the ecological, social, and cultural spheres. 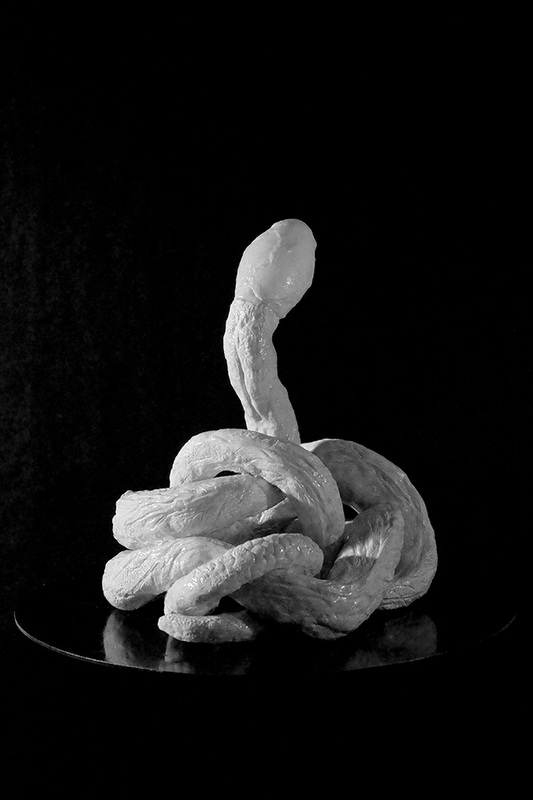 It explores the notion of demonstration and its political, technological, pedagogical, and aesthetic capacities as means to imagine, collect, weave, embrace and share narratives, techniques and affiliations of resistance. Conseived by Sylvia Eckermann and Gerald Nestler with Maximilian Thoman. Episode Contributors: Haim Bodek, Sylvia Eckermann, Maya Ganesh, Aldo Giannotti, Florentina Holzinger, Volkmar Klien, Gerald Nestler, Peng! Collective, Denis “Jaromil” Roio, Soulcat E-Phife, Technopolitics research group, UBERMORGEN (featuring Zenker and Stefan Endres). Vocal Ensemble: Christine Gnigler, Lorina Vallaster, Joachim Rigler. 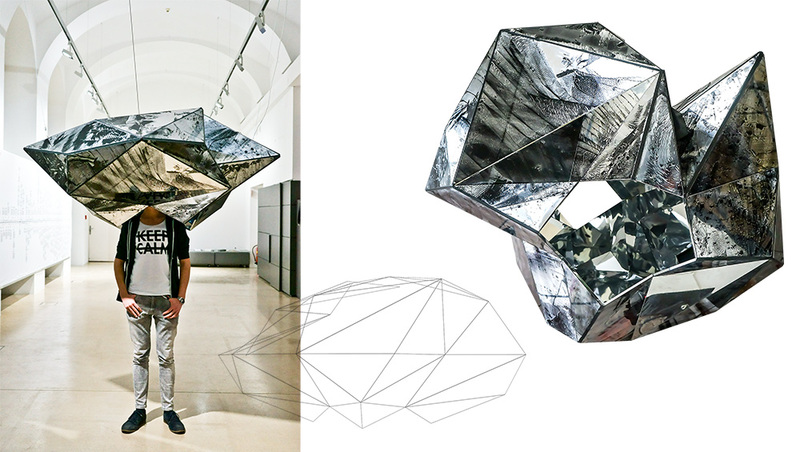 Data Bodies: Jon Eckermann, Elisa Winkler. Special Guest Appearance: Frank Pasquale. Light installation, UNIQA Tower, Vienna. –light installation for the LED facade of UNIQA headquarter in Vienna‘s city center. 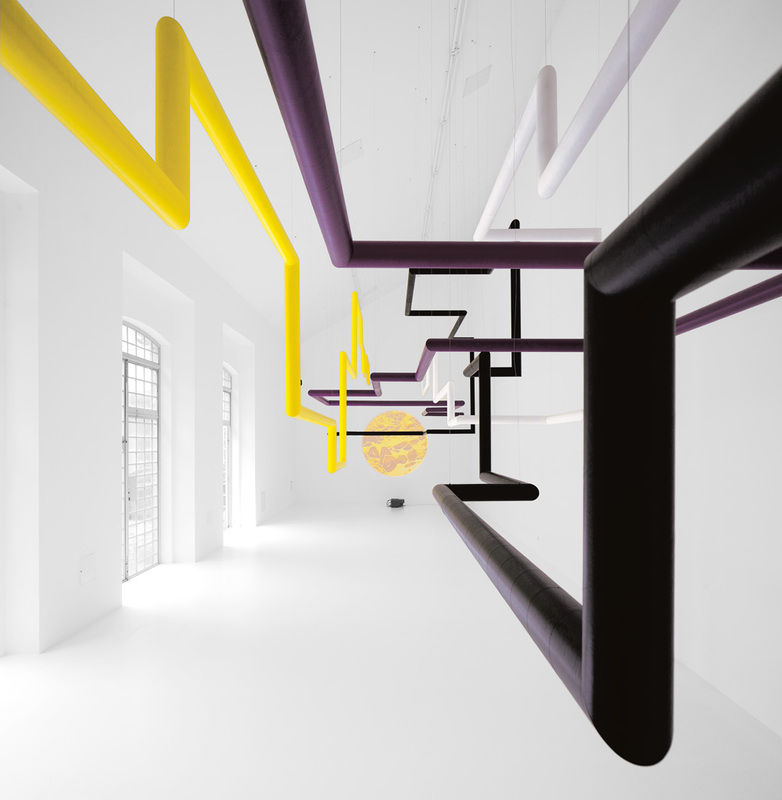 The light installation was a widely visible landmark for the art series The Future of Demonstration S2 VERMÖGEN. 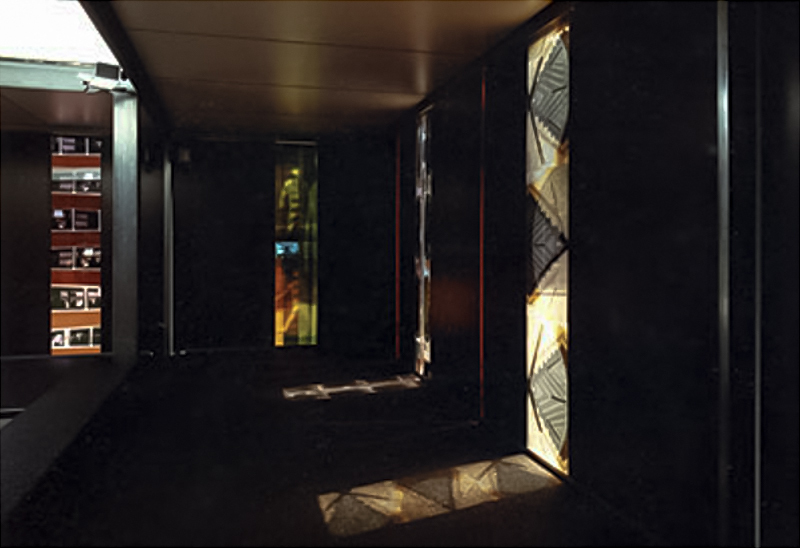 The light installation Escalator was a widely visible landmark for the art series The Future of Demonstration S2 PASSION. 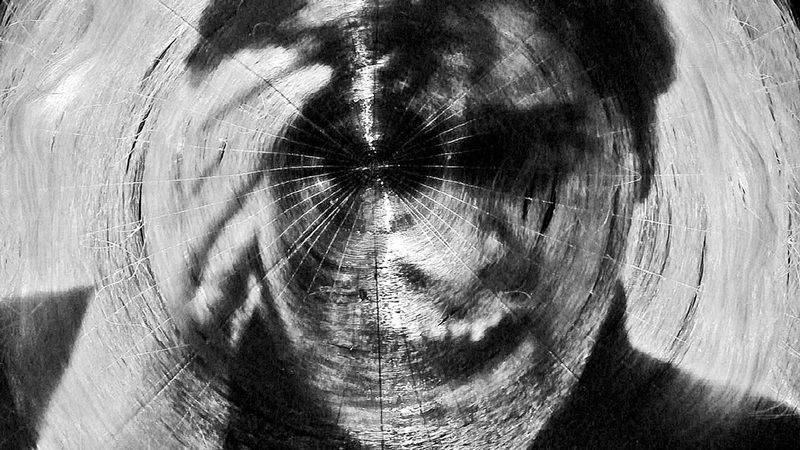 Sylvia Eckermann: video, animation, sound. Gerald Nestler: words. The video exposes the libidinal power of financial capitalism. In Gerald Nestler's lyrics, the market/money/capital addresses us directly. 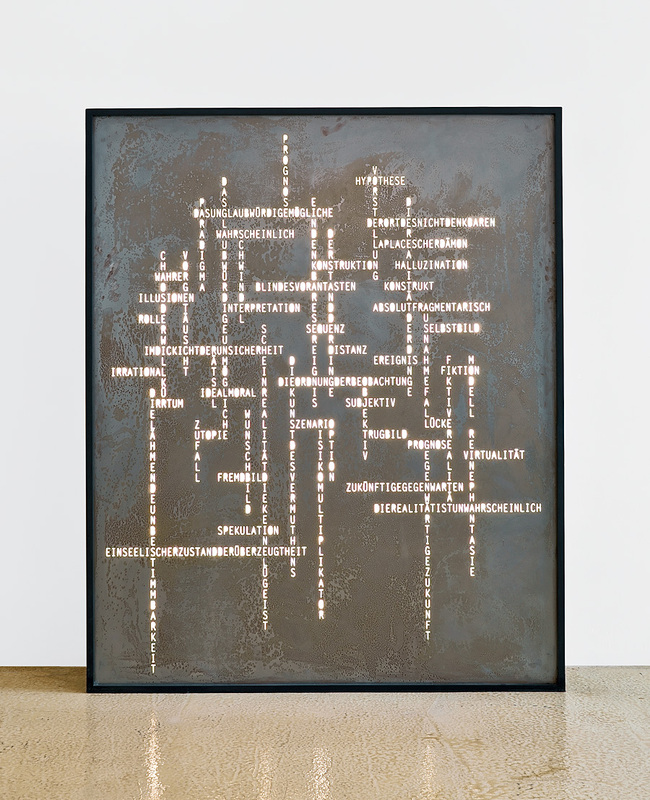 Its seductive speech is set to rhythm and sound by Sylvia Eckermann who also generated the visual surface. Computer voices strike up the digital hip hop of futures. Volatile swings define the imagery. We are the object of desire. Derivative markets constitute the "recombinant social DNA" of the social body. "Oh baby! How you nourish me!" of the Iberoamerican Society of Digital Graphics. Universidade de São Paulo. São Carlos. Brazil. The MONOSKOP EXHIBITION LIBRARY explores the notion and medium of the art catalogue. The catalogue is the publishing vehicle of an exhibition and outlives the latter. But the imaginative power of this medium has more to offer than mere documentation. Hence, MONOSKOP invited artists, designers, curators, poets and researchers to explore the catalogue as an artistic medium. 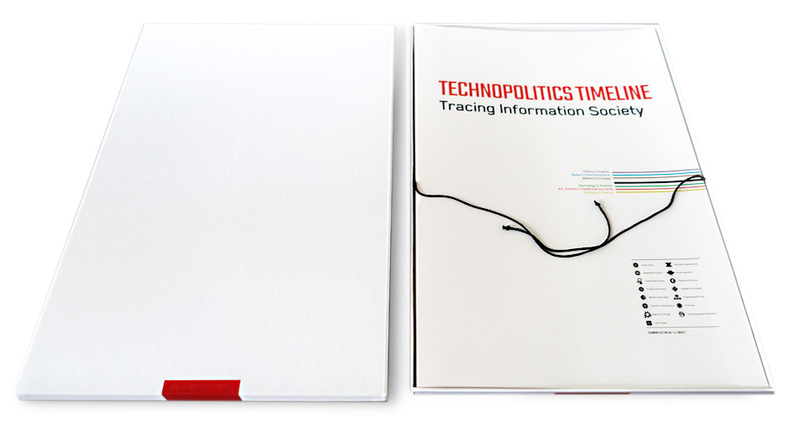 As our contribution, Technopolitics converted Tracing information society - a Timeline into an object-as-catalogue. Sound. 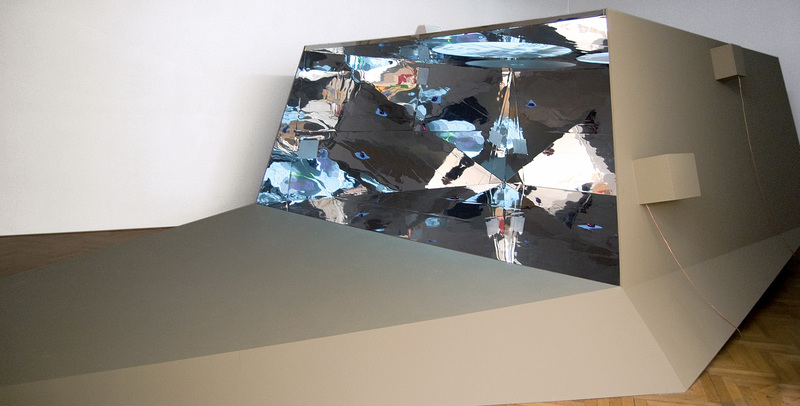 Polystyrene sheets and mirrors, 4 loudspeakers, monitor, camera, computer, 160x160x80 cm. Composition of the voices: Szely. ◊ BookLET with text contributions by Thomas Raab, Gerald Raunig. Serigraphy on bedlinen / phosphorescent pigment. 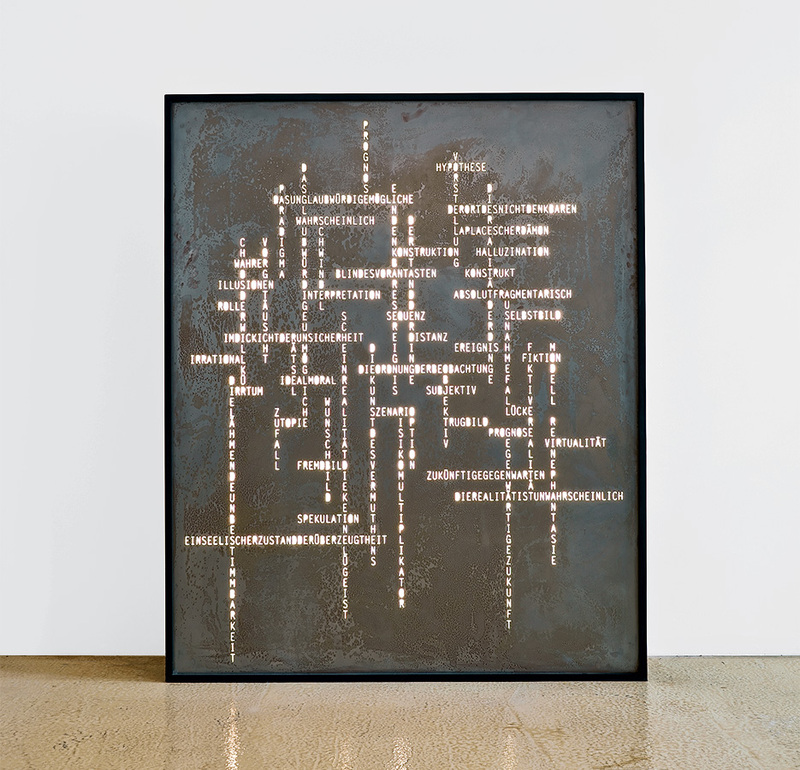 Digital pigment print, 101.6 x 124.46 cm, 2013. Edition 5. Leuchtkasten, Stahlplatte, Plexiglas, Holz, Neon. 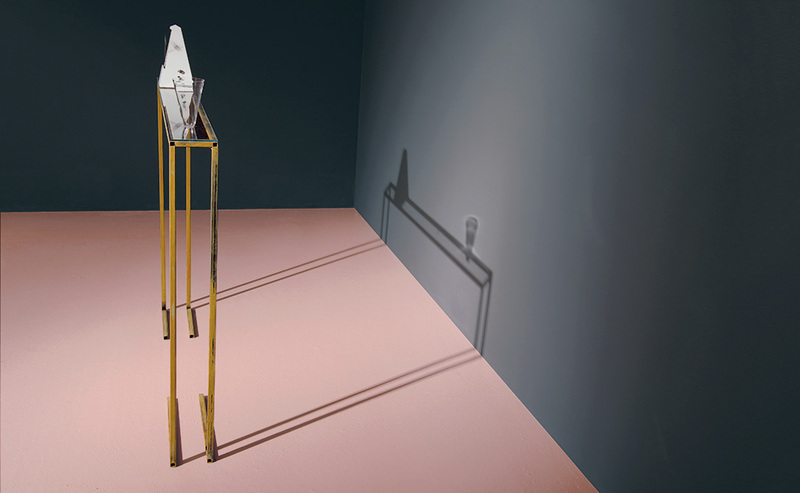 Spatial object, 1700 x 500, paper tubes, sound, video, 2 gold plated sculptures (15 x 50). 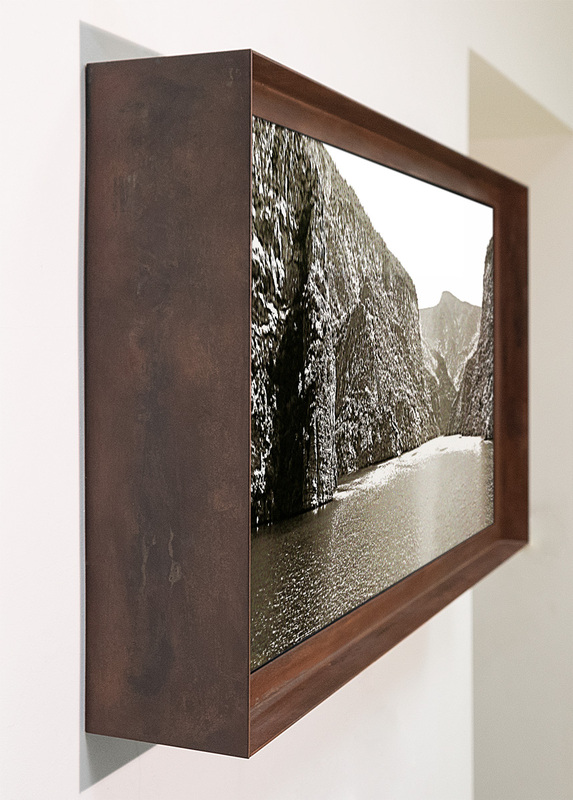 1 channel video, room installation, 5.1 sound, 5000 m Nylon wire, 300 x 200 cm. 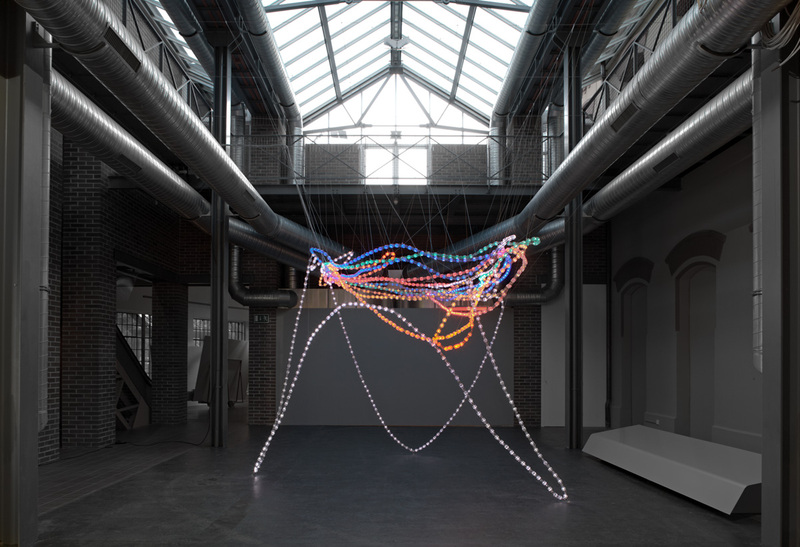 With thousands of meters of nylon threat Sylvia Eckermann produced a spider web that serves as the captivating projection screen for her "expressive verbal image" (Sabine Dreher) with which she visualizes the replacement of human actors by algorithms in finance. Referencing the fiber optic networks encroaching below ground level that connect the powerhouses of finance via inconspicuous Carrier Hotels, Crystal Math addresses the issue that human beings have become the resource of derivative risk potentials. Here, the net does not serve as a social realm of communication but rather as a trap in which pray gets caught, as the mathematics of probability calculation have turned into the drug of an oracle which subjects the manifold options of the future to its very own fictions. The voice of Simon Streather enunciates these bottomless pits put into words by Gerald Nestler. Sound by Szely. a moving image landscape in the rhythm of the digital. A secluded scenery in the mountains of Albania, a mythical, unknown land. No road cuts through nature, the river alone crosses the country connecting remote and widely separated villages. Without any sign of human life along the riverside, the camera flows with the waters through a scenery that hardly changes. The sunlight, at play with the surfaces it touches, bursts into digital refractions that dissolve solids into the immaterial epiphany of vision. The light we see is the gleaming artistic shadow of a past adventure. It immerses us in a timeless dreamscape in which digital imagination embraces ephemeral physicality. Telluric Force addresses a recent geological orientation that is rapidly gaining acceptance: human activity has been a driving geophysical force since the beginning of the industrial era. After millions of years, a biological actor thus entered the stage of the earth development whose environmental impact is of such significance that ecologists and geologists felt impelled to introduce a term for a new geological era: the Anthropocene. 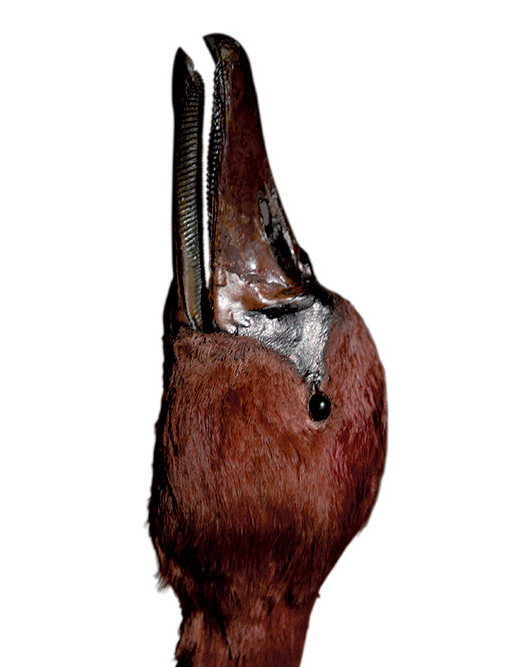 The core premise of the Anthropocene thesis is that human activity shapes nature. This term therefore heralds a paradigm shift in the natural sciences. Serving as a supplement to collective consciousness by conceptualizing an era of responsibility, it consequently requires new models for science, culture, politics, and everyday life. The video work Telluric Force shows a mechanical metronome—a compound of the Greek words metron (measure) and nomos (law, consensus). The ticks of the swinging pendulum, however, are not regular pulses caused by the wound-up spring system. Telluric Force displays arrhythmic, non-metrical, and seemingly random amplitudes generated by a specific choreography created by the artist in collaboration with the composer Szely. 2010. 3 channel video, 5.1 sound, 1500 x 470 cm. 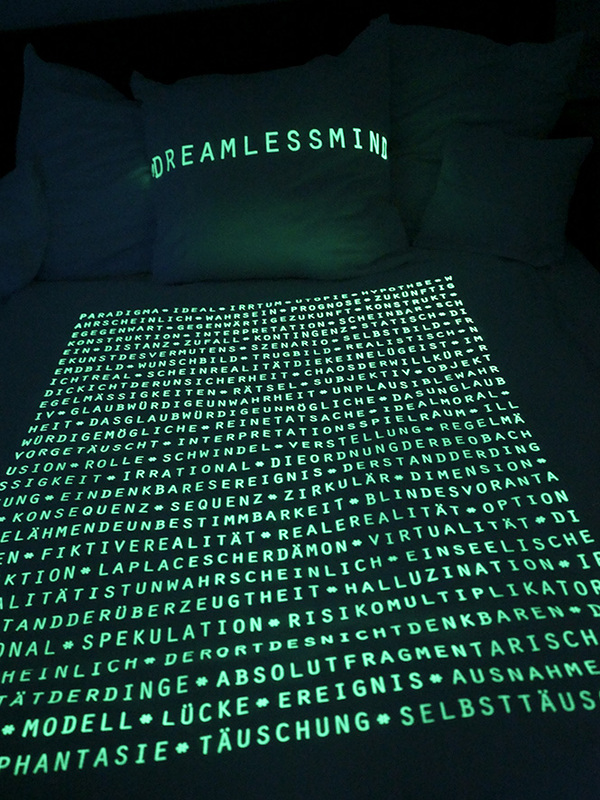 10 projection objects, carpet, text work plotted on mirror foils. 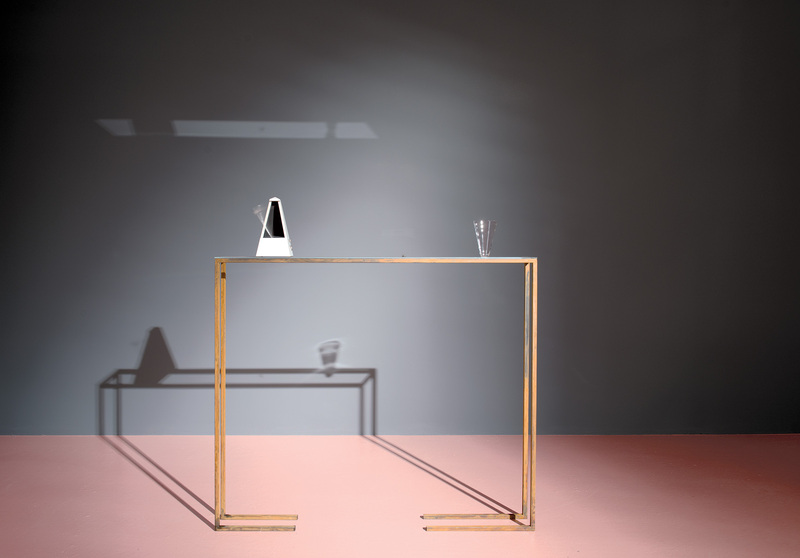 Iron construction, glass plate, glass cone, metronome, fly, 111 x 100 x 10 cm. 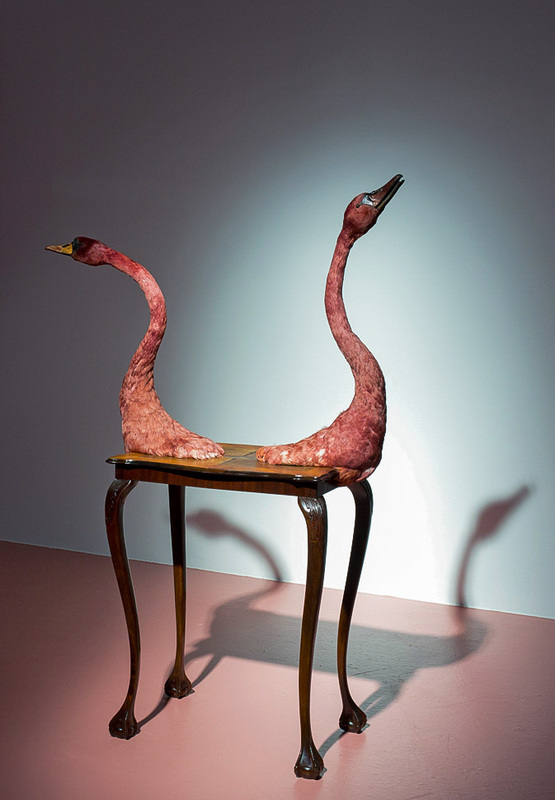 Wooden claw and ball table, taxidermy of swans, 80 x 160 cm. 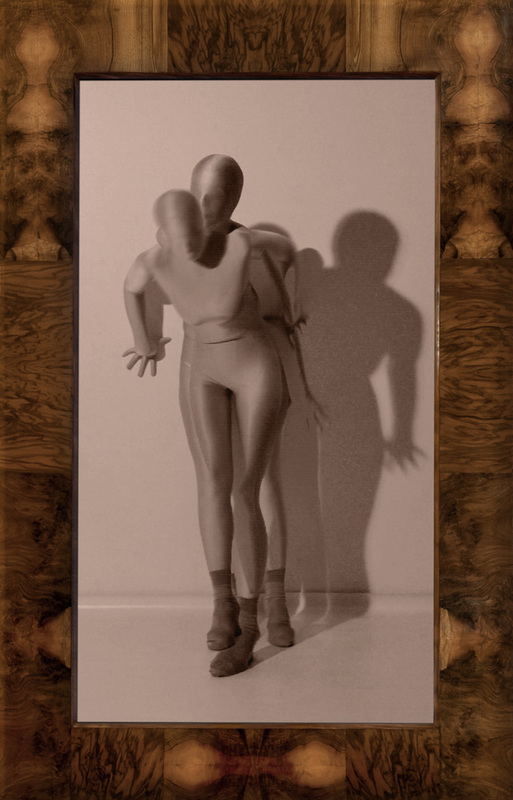 Polymer, iron pedestal, 40 x 95 cm. Trends are all the trend. Alongside fashion and health it is analyses of economic trends and flows of finance and commodities which are shaping our environment. To what extent do they influence and change us as individuals and as a society? By recognising and relying on trends do we become part of an economisation that promises profit but at the same time absorbs us? Does the individual who opposes the trend get even socially marginalised? Is the titular "friend" in a knowledge-based society therefore an updated manifestation of what Orwell termed Big Brother? A new, if more complex uniformity of control that denies us future with its hubris of calculability? The installation "The Trend Is Your Friend" invites us to participate in an experimental set-up of markets to think through these questions for ourselves. With the aid of our senses, we dive into a playful environment in virtual space while our bodies remain in the real. Sep 2008 - Sep 2009, curated by Dieter Buchhart. 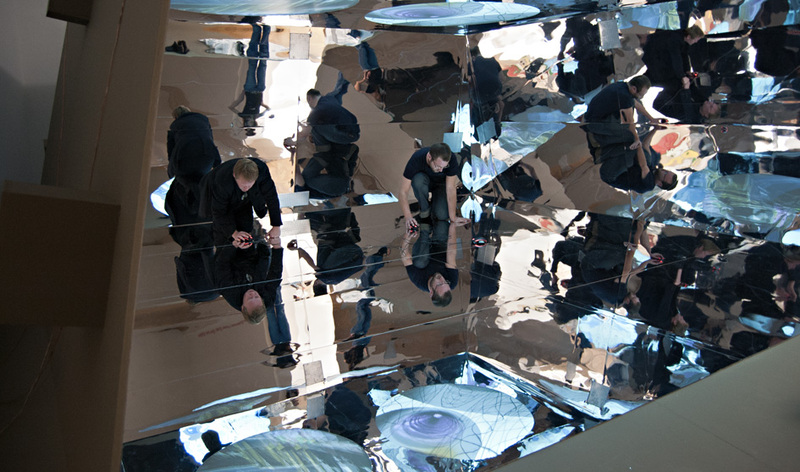 Mirror Cells is an interactive installation that turns around our perception of space and time. 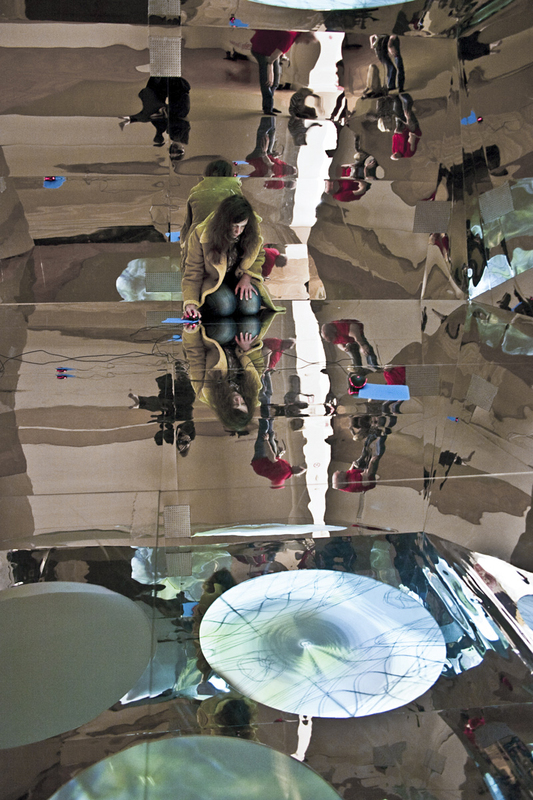 The gamers as well as the visitors are immersed inside an infinitely mirrored acousmatic-visual 3d-world. 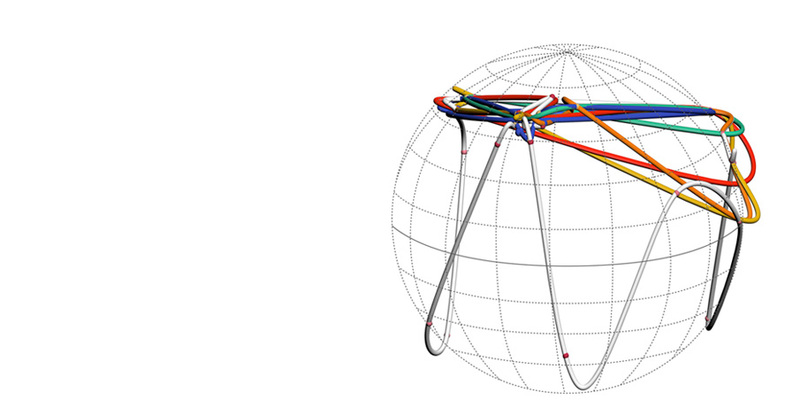 Featured project of ars electronica 2007. Accessible immersive environment. Unreal Mod. 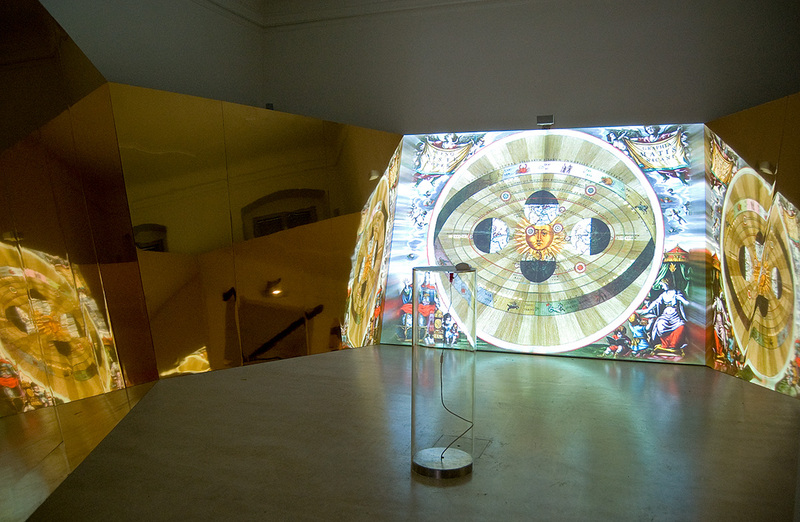 – 2004, Lange Nacht der Museen, Künstlerhaus Vienna AT, curated by Angelika Fitz, Klaus Stattmann. 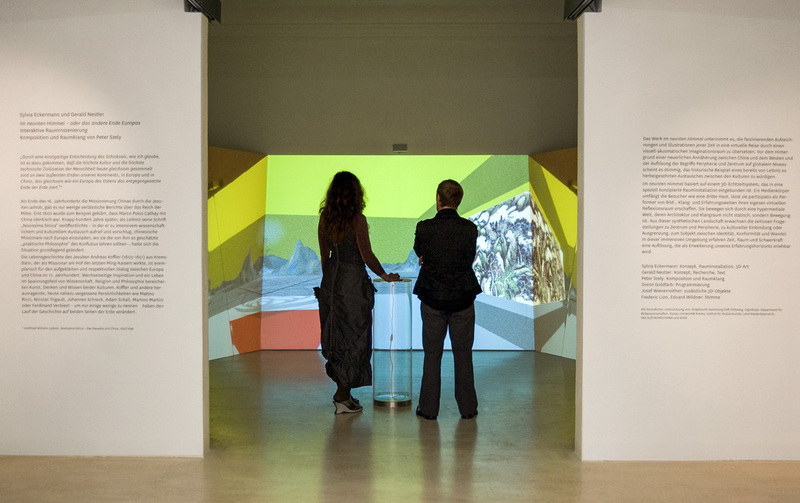 – 2005, Institute for New Culture Technologies/t0, Vienna AT, curated by Konrad Becker. – 2006: media@terra International Art + Technology Festival, Athens GR / 3rd International Digital Art Festival, Changzhou CN / 11-art.com, Dashanzi Beijing CN / Architekturzentrum, Innsbruck AT. – 2005: Heiligenkreuzerhöfe, Vienna AT. – 2005, Tonspur, Museums Quarter, Vienna AT, curated by Georg Weckwerth. Game art environment for 3 players. 2001. 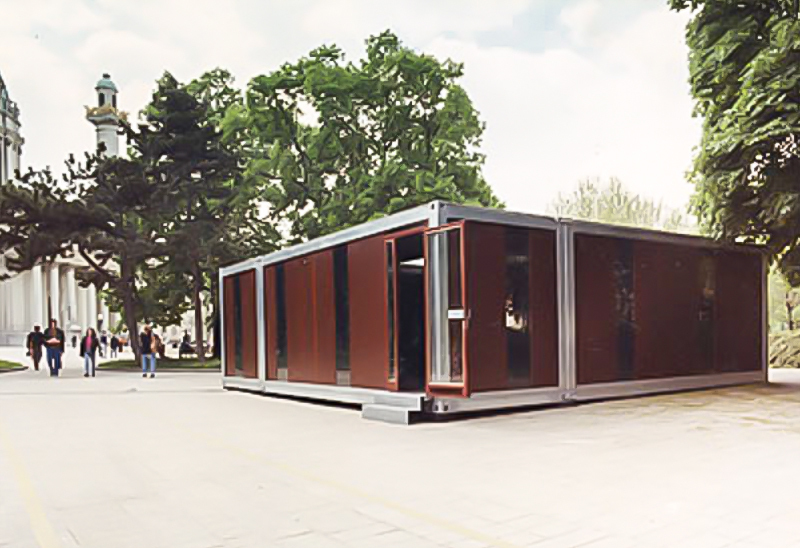 Exhibition architecture: tnE Architects. – Unternehmen Capricorn, curated by Christoph Steinbrener, Karmelitermarkt, Vienna AT, 2001. – KIASMA Museum of Contemporary Art, curated by Perttu Rastas, Helsinki FI, 2002. – artgames. 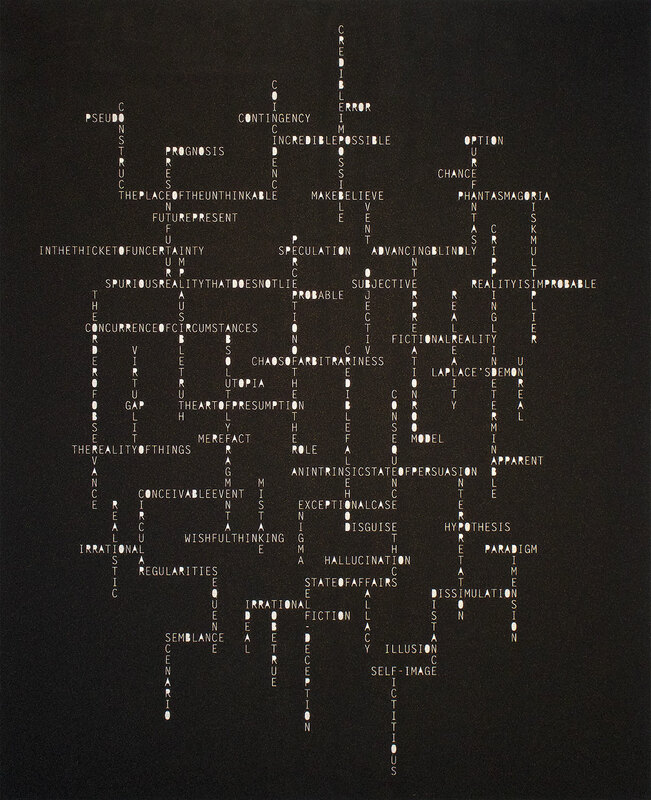 Structural analogies of art and game, curated by Karina Esmailzadeh / Jutta Scheld, Ludwig Forum für internationale Kunst, Aachen D, 2005/06. – ISEA 2004, KIASMA Museum of Contemporary Art, Helsinki FI, 2004. – GameArt, Völklinger Hütte, Völklingen D, 2004. – games. Computerspiele von KünstlerInnen, curated by Tilman Baumgärtel / hartware medien kunst verein, PHOENIX Halle, Dortmund D, 2003. – SELFWARE. politics of identity – games, curated by Georg Lauteren / Reinhard Braun, European Cultural Capital Graz AT, 2003. FemCity is a simulation of a complex social and economic environment in which young women find themselves when they set out to design their future. 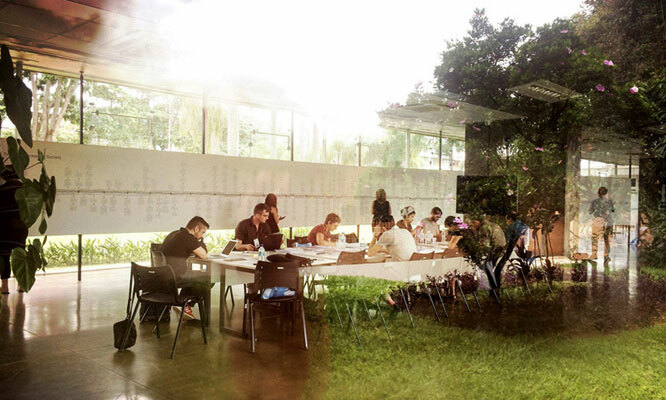 – Third Places, curated by Doris Rothauer, steirischer herbst, Graz AT 2004. 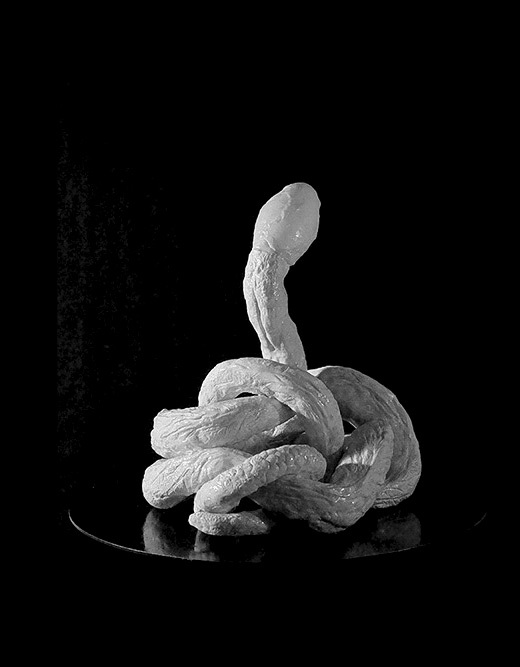 – Reserve der Form, curated by Angelika Fitz / Klaus Stattmann, Künstlerhaus Vienna AT, 2004. A pavillion with sights and sounds for city users.